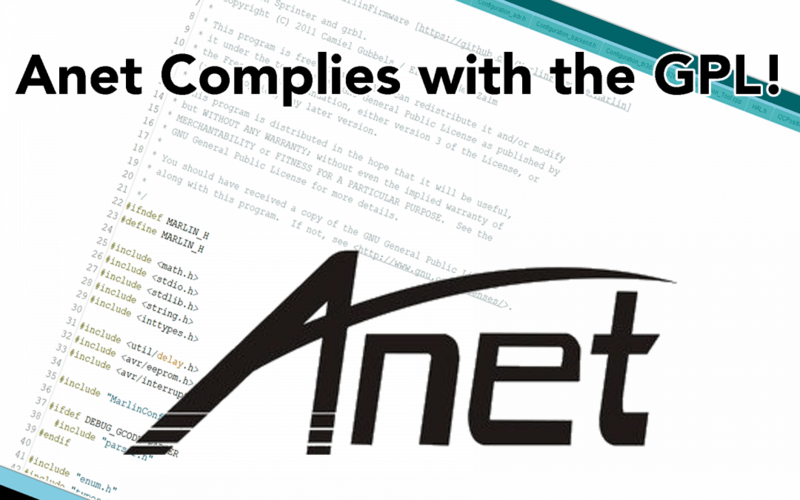 Today we’re happy to finally announce that Anet has finally come forward and released the source code that they should have for their customers. This is a huge step forward in the GPL movement that was started 2 years ago to this day and we cannot be happier to be posting this out to you all! Well, that is what we wish we could be announcing today. But it is April 1st, a day of joking and pranks to be had. However, the sad part is Anet is still 100% non-compliant with any and all firmware requests that have been pushed towards them. There is some truth to the 1st two sentences though and that is we started pushing the GPL compliance hard 2 years ago to this day. Even though Anet has not complied there has been a ton of progress made and we want to highlight the positive things that have come of the GPL movement. We want to specifically call out AnyCubic, Wanhao, Ultimaker, PRUSA, LulzBot, Geeetech, Creality, Tevo, and Alfawise (sorry if we missed anyone) for all continuing to release the source code for their machines that are running GPL licensed software. This makes life easier for customers to make improvements both hardware and software wise to their machines. While we would like to see all these printers having safety features like thermal protection standard we’re happy that they provide the code so that we can easily enable it. Creality specifically has gone many steps further and made the CR-10, Ender 3, and CR-100 all 100% Open Source Hardware. That means they are not only sharing back their firmware code but also open sourced all their hardware designs. While this was not ever asked for it is awesome to see a Chinese company embracing the open source ecosystem and also taking customer feedback seriously. Thank you Creality. Thank you also to Naomi Wu who has been instrumental to the work with Creality. I won’t take up too much of your time but I wanted to use this as an opportunity to have some April Fools day fun and also highlight the companies that have actually done what is right. Thank you AnyCubic, Wanhao, Ultimaker, PRUSA, LulzBot, Geeetech, Creality, Tevo, and Alfawise (sorry if we missed anyone) for respecting the GPL license. You will have our support now and in the future, if things keep going the way they have. As for Anet, we had the opportunity to meet 2 people from Anet (one being the owner) at MRRF but they still will not share the source code that they have essentially stolen from the community. 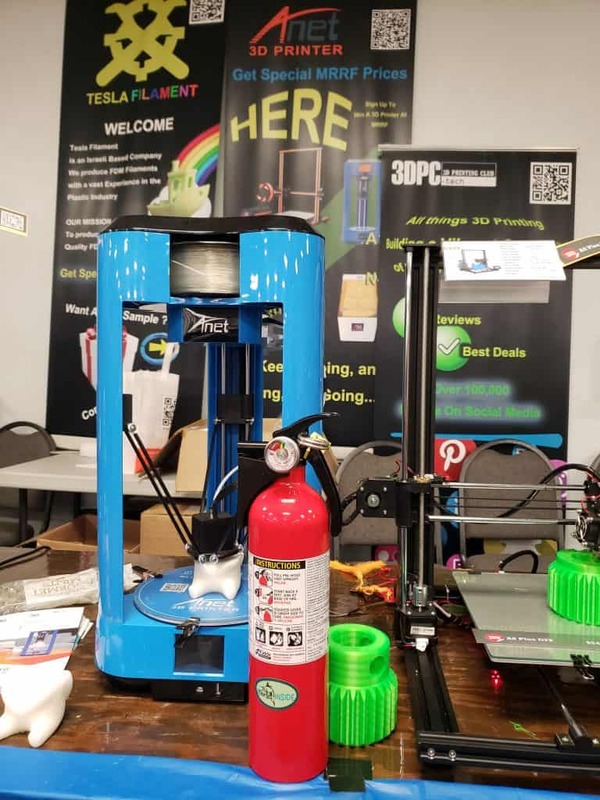 In addition to the GPL violations, we watched as the 2 Anet reps from China at MRRF going around to other non-Chinese vendor booths taking extremely detailed pictures of new products and printers. We won’t make any blatant accusations but given how they operate we think you can see why we mentioned this behavior, it’s very concerning and the vendors that were having their products photographed were concerned as well. Happy April Fools and We hope Anet is enjoying the new Thermal Protection Device we gave them at MRRF. Maybe Anet will come around one of these days and we hope they do, in the meantime, we will continue to pressure them to comply with the GPL license they are blatantly violating and support the companies that are complying.